And so, we find ourselves at Sunday. Hooray! 'Course, these days, MY days tend to mesh into each other because I've yet to go back to work. It's so fun being home with a baby! Good thing Hannah gets to come to work with me. I'd miss her so. And she's already been to the nursery at the gym. She basically zonks out in her car seat while all the kiddos run and play around her. 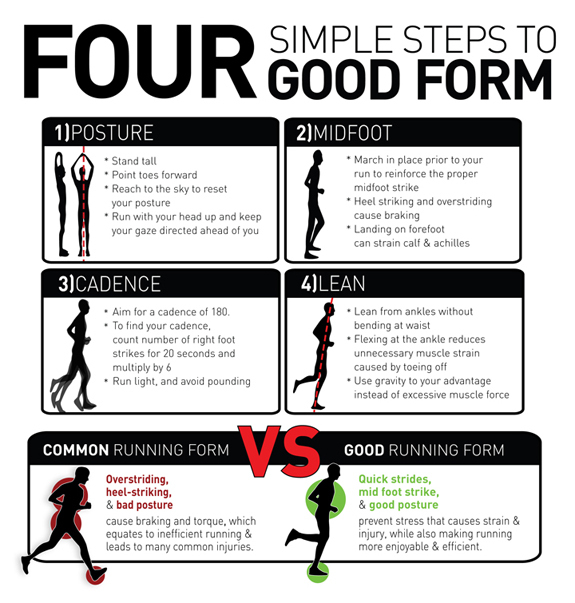 Whether you're running marathons or jogging around the block, good form is essential. Bad form leads to injury, and injuries aren't any fun whatsoever. So take a minute to absorb the above so you can recall it next time you lace up. OK, not really. But it'd be funny. 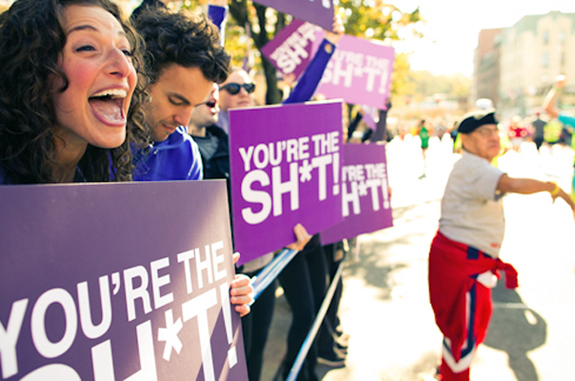 Question: Got any races in your future? "How many calories should I be eating?" I'm cranky, therefore I must be hungry. Change is good. Super Bowl snacks are not.